A group of CSE 3rd semester students of BBSB Engineering College, Fatehgarh sahib visited the Kandhari beverages Private Limited Nabipur on 27-09- 2017. Kandhari beverages private limited is a Manufacturer of soft drinks like coke, fanta, maaza etc. The objective of the visit was to familiarize the post first year students with the automation techniques via Programmable Logic Controller mechanisms used for bottling and visualize a practical look of the equipments and the mechanized heavy inventory of the firm. The complete visit was approved and facilitated by Mr Kulwant singh ,Administration Manager, KBPL throughout. Dr.Baljit singh Khehra (H.O.D CSE) stated that the department in coordination with all faculty members is strongly dedicated for the students in this day to day competitive world to well equip the students with theoretical and practical quotient as well. 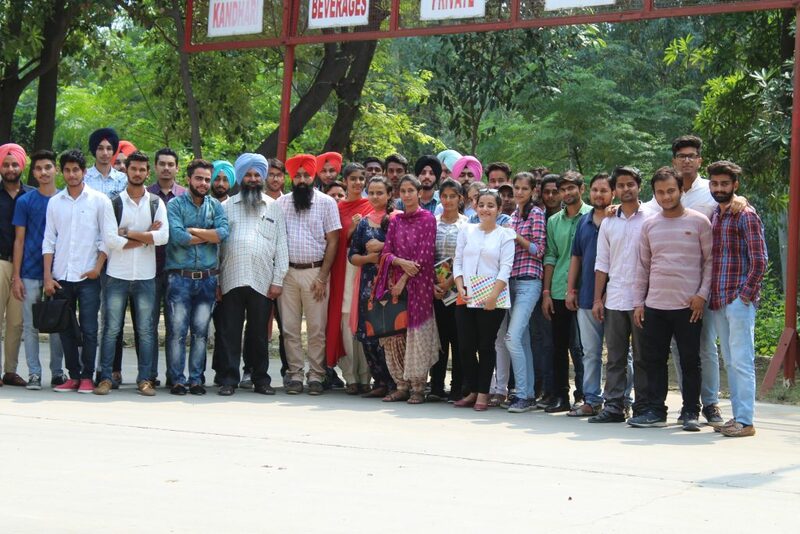 A total of 40 enthusiastic inspiring technocrats of CSE Branch subdivided into two batches of 20 and 20 students, coordinated and assisted by Prof.Gurbahar Singh (Visit In-Charge) and Mr.Ranjodh singh.